Portugal’s Aroeira resort was the venue for a dramatic climax to the 2016 European Men’s Club Trophy. French club, Golf St Germain en Laye survived a final-day charge from Scotland’s, Balmore GC for a fifth French win in the last seven years. The victorious team are pictured here receiving the trophy from Manuel Agrellos (centre), president of the Portugal Golf Federation. No fewer than 23 countries competed at the famous Lisbon venue for the 41st edition of the 54-hole amateur strokeplay event. Played over three days, the two best cards from three 18-hole rounds counted towards the overall score. Following the tournament’s stunning conclusion, Aroeira, the 36-hole complex managed by ORIZONTE – Lisbon Golf, was deservedly praised for its facilities and course condition. For a memorable finale, the St Germain team of Thomas Perrot, Thomas Faucher and Romain Payet enjoyed a seven-shot lead with one round to play and nearest challengers were Chris MacLean, James Wilson and Neil McConnochie from Balmore, Glasgow. Chris MacLean – who ultimately finished joint-top of the individual standings – returned six birdies in his final 10 holes as the Scots made inroads into the leaders’ advantage. At the finish just one stroke separated the two teams as St Germain clinched the title with a winning margin of 15-under-par. The Scots finished ahead of England’s Hayling GC (13th), Ireland’s County Sligo GC (16th) and Radyr GC from Wales (19th). Other nations taking part included clubs from the Netherlands; Iceland; Slovakia; Germany; France; Spain; Croatia; Estonia; Italy; Denmark; Czech Republic; Luxembourg; Russian Federation; Switzerland; Austria; Finland; and the Ukraine and, naturally, Portugal. The excellent facilities and service provided by Aroeira was a fitting environment for one of European club golf’s most prestigious events and all competitors were congratulated on their performances. Next year Scotland will aim to go one better while France will be determined to retain the title. However, all the other nations will of course have their own ideas about which country’s name will be added to the trophy. 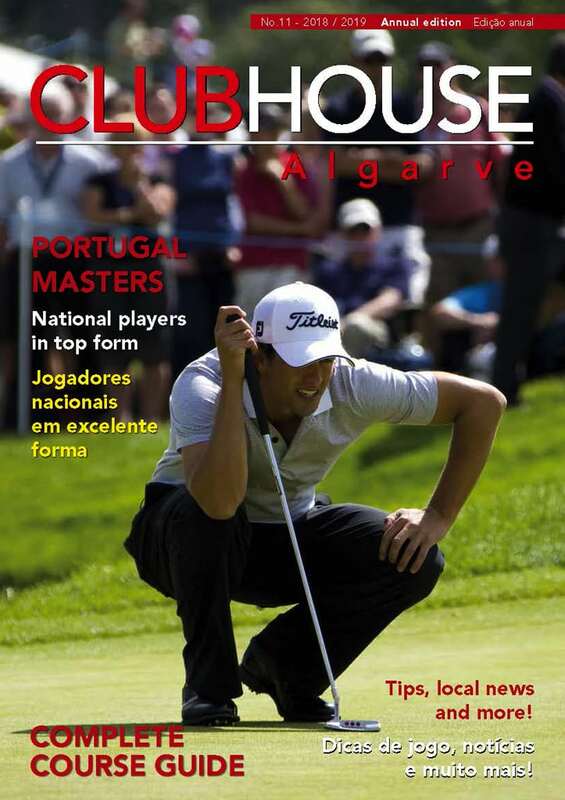 Clubhouse Algarve is brought to you by the Open Media Group, the publishers of the Essential group of luxury lifestyle magazines covering the Algarve, Lisbon and Madeira as well as international destinations such as Macau and Malaysia. Here in the Algarve, other publications published by the Open Media group of companies include the region’s two longest established weekly newspapers – The Algarve Resident and Barlavento in English and Portuguese respectively. © Copyright 2019 Open Media SA.